This study presents the large-scale test results of dry granular flows impacting a flexible barrier. 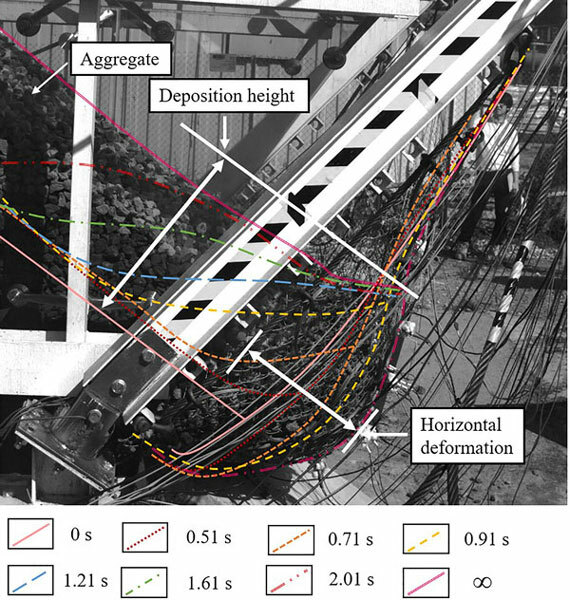 Motions and deposition characteristics of granular flows are described and analysed. Impact forces on the flexible barrier directly and on the supporting structures are measured and compared. It is found that the flexible ring net can reduce the impact force from a granular flow with large deformation. Furthermore, existing simple approaches for impact force estimation are verified. Very large wildfires have high human, economic, and ecological impacts. Preventing such events is a major objective of the new fire policy set up in France in 1994, which is oriented towards fast and massive fire suppression. This study investigates the effect of this policy on the largest fires. 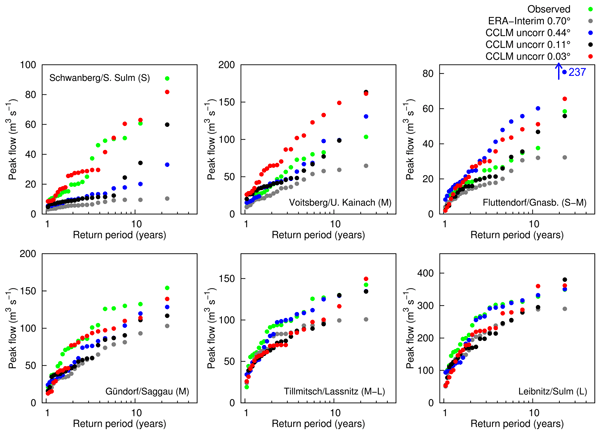 We estimate the burned area corresponding to fires that occur every 5, 20, and 50 years on average (so-called return periods) in southern France. Small-scale floods are a consequence of high rainfall rates in small areas that can occur along frontal activity and convective storms. This situation is expected to become more severe due to a warming climate. 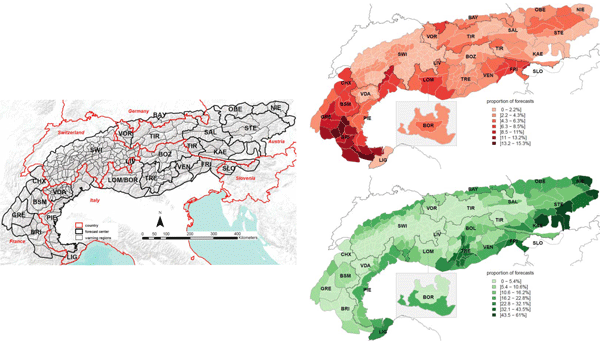 This study shows the test of fine-gridded (~ 3 km spacing) climate models combined with error-correction techniques for flood modelling in small- and medium-sized catchments. Results are promising, but further research is needed so these models can be applied in climate change studies. 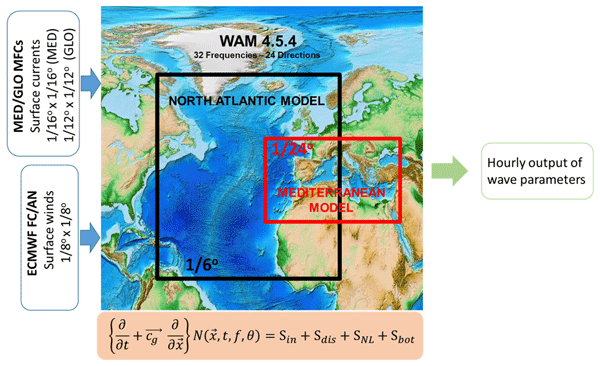 A high-resolution operational wave forecasting system for the Mediterranean Sea has been developed within the framework of the Copernicus Marine Environment Monitoring Service, which provides open, cost-free, and quality-controlled products. The system accounts for waves arriving through the Straight of Gibraltar and for the effect of surface currents on waves. It provides accurate results over well-exposed locations and satisfactory results within enclosed basins and near the coast. In 1993, the European Avalanche Warning Services agreed upon a common danger scale to describe the regional avalanche hazard: the European Avalanche Danger Scale. Using published avalanche forecasts, we explored whether forecasters use the scale consistently. We noted differences in the use of the danger levels, some of which could be linked to the size of the regions a regional danger level is issued for. We recommend further harmonizing the avalanche forecast products in the Alps. 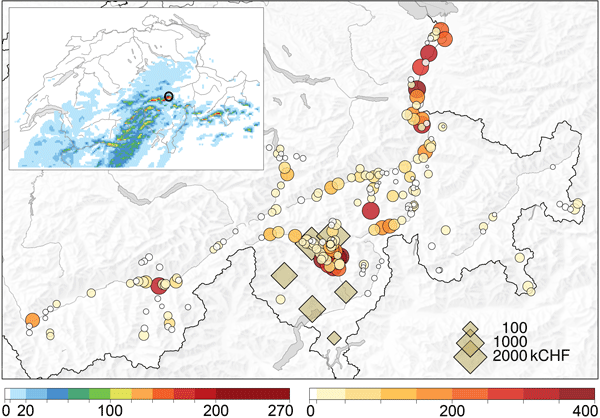 A catastrophic flood south of the Alps in 1868 is assessed using documents and the earliest example of high-resolution weather simulation. Simulated weather dynamics agree well with observations and damage reports. Simulated peak water levels are biased. Low forest cover did not cause the flood, but such a paradigm was used to justify afforestation. Supported by historical methods, such numerical simulations allow weather events from past centuries to be used for modern hazard and risk analyses. This paper discusses how uncertainties resulting from lack of knowledge are considered in a number of different natural hazard areas including floods, landslides and debris flows, dam safety, droughts, earthquakes, tsunamis, volcanic ash clouds and pyroclastic flows, and wind storms. As every analysis is necessarily conditional on the assumptions made about the nature of sources of such uncertainties it is also important to follow the guidelines for good practice suggested in Part 2. Epistemic uncertainties and natural hazard risk assessment – Part 2: What should constitute good practice? Part 1 of this paper discussed the uncertainties arising from gaps in knowledge or limited understanding of the processes involved in different natural hazard areas. These are the epistemic uncertainties that can be difficult to constrain, especially in terms of event or scenario probabilities. A conceptual framework for good practice in dealing with epistemic uncertainties is outlined and implications of applying the principles to natural hazard science are discussed. 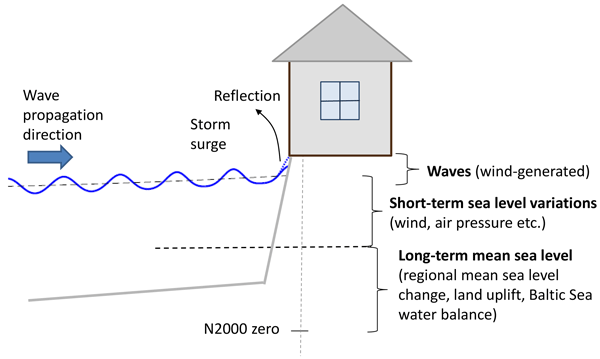 The coastal flooding risks based on the combined effect of sea level variations and wind-generated waves are estimated for the present, 2050 and 2100. The variability of the wave conditions between the two case study locations in the Helsinki archipelago leads to a difference in the safe building levels of up to 1 m. The rising mean sea level in the Gulf of Finland and the uncertainty of the associated scenarios contribute to the flooding risks notably in 2100. 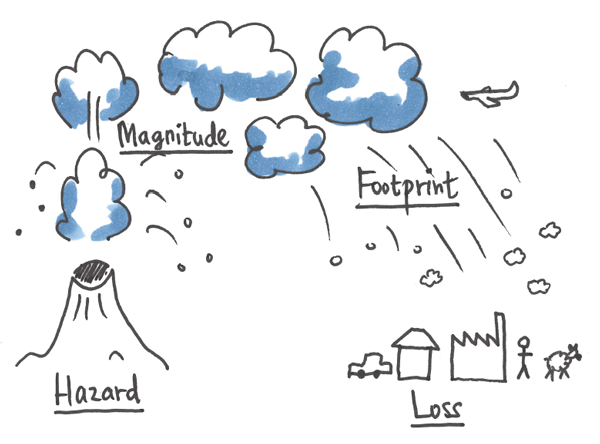 Landslide is a common and sudden geological disaster, which is difficult to monitor and prevent efficiently. This paper introduces an improved algorithm of data assimilation that merges the observations into a landslide evolutionary model. A nonlinear model experiment is applied to verify the feasibility of the algorithm. An application of landslide simulation is carried out. Results show that the estimations of states can effectively correct the running offset after assimilation.